Fermi National Accelerator Laboratory, the nation’s premier particle physics research laboratory, offers internships in the Office of Communication for students, writers and other candidates who love science, good writing and working in an environment where no moment is ever dull. As an Office of Communication intern, you’ll devote much of your time and effort to writing for Fermilab’s online publications, including press releases and website content. Jointly with SLAC National Accelerator Laboratory, Fermilab also publishes symmetry, an online magazine about the science, people and culture of particle physics. Interns may also write for other laboratory publications and Fermilab’s websites. We also give interns the opportunity to assist with media events, social media and general public relations activities. The internship salary is approximately $660 weekly. The laboratory does not provide housing or benefits for interns, but there is affordable housing on site. There are also many apartments and shared rentals available in the west Chicagoland area, often listed in our classified ads. Fermilab is located about 35 miles (an hour’s drive) west of Chicago on a 6,800-acre site replete with ponds, restored prairie lands, many species of birds and other wildlife. A standing herd of American bison, established by founding director Robert Wilson, symbolizes the lab’s presence on the frontiers of high-energy physics and an abiding respect for region’s prairie heritage. Those interested in applying for the position should have a bachelor’s degree in science, English, journalism, communications or relevant discipline. They should also have excellent writing, organization and interpersonal skills and written samples of their work. Additional qualifications are listed through the laboratory’s online employment site. To apply for a science-writing internship, please submit your application online. Application forms will be posted on Fermilab’s employment website as openings become available. For questions about the internship, please contact Leah Hesla. 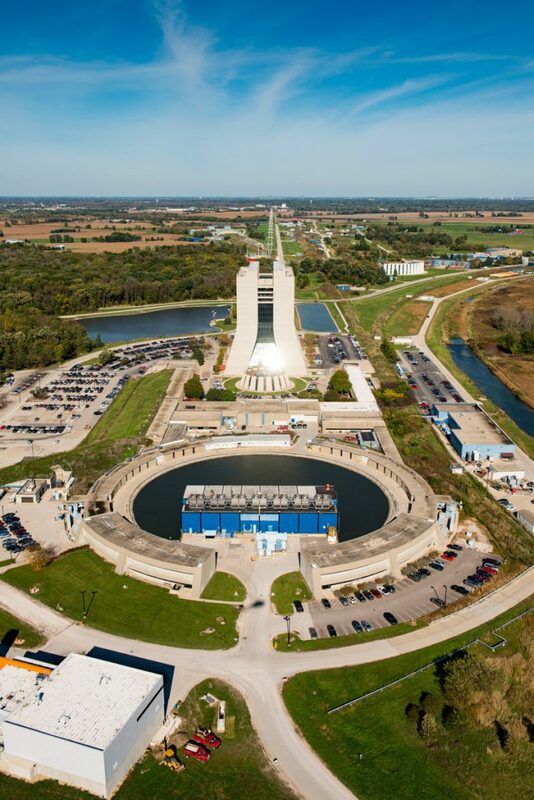 Fermilab is a U.S. Department of Energy National Laboratory operated under contract by Fermi Research Alliance LLC.